Have we gone barking mad? A cupboard has been put on the market for AUD$13,400 in another baffling example of London's housing crisis. The cupboard, located in Brentford Dock housing estate overlooking the Thames, measures five foot by 12 foot. The estate agent selling the flat estimated that around 200 of the 640 properties in the south west London estate have cupboards. As the closets are arranged on the estate itself, only residents can bid for a plot - meaning neighbours can opt to make a fast buck off each other. An online advert for the closet boasts that it is both lockable and under cover, and is "perfect for push-chairs or pieces of furniture." "We've sold a lot of the cupboards, not sold this one yet, but it'll go quickly. "The thing is these days people perhaps need to realise some capital so they sell off their garages and parking spaces. "It's a good sized cupboard. 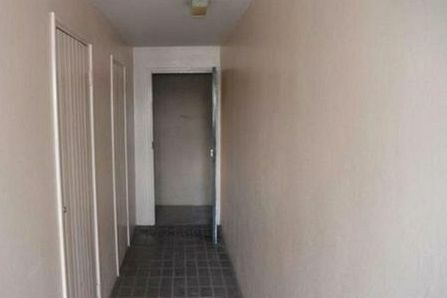 If you've got a flat space is difficult. For people who have got a spare £7,000 (AUD$13,000), they think "hey let's get rid of all that junk. Put it in the cupboard!" She added that in comparison with using a self-storage company, the cupboard was a good investment. But Ms Quilliam disagreed that the price was a symptom of the worrying property climate in the capital. The sale comes after a garage in central London was put on the market for an eye-watering $893,000. Meanwhile in May a studio flat to rent in central London where the bedroom, kitchen and shower were metres from each other was advertised for $1300 a month, and a garden in Chelsea sold over $142,000. Amid the worrying trend, a report by the housing charity Shelter last months warned there are only 86 affordable properties for local families with children in the whole of London.